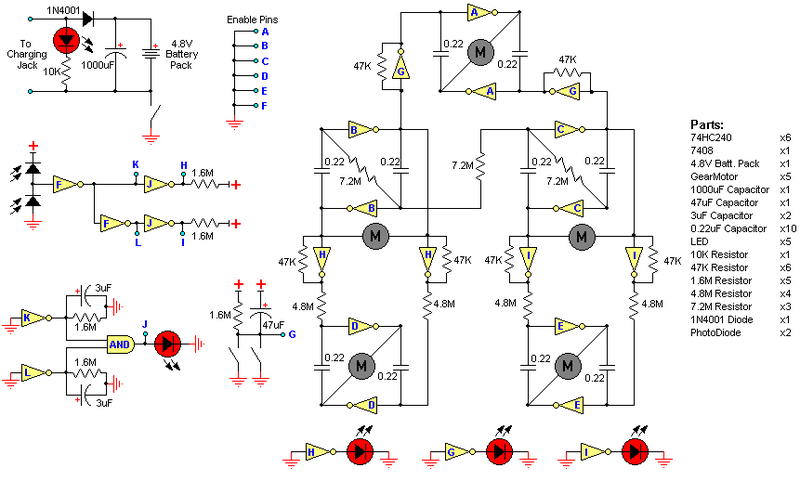 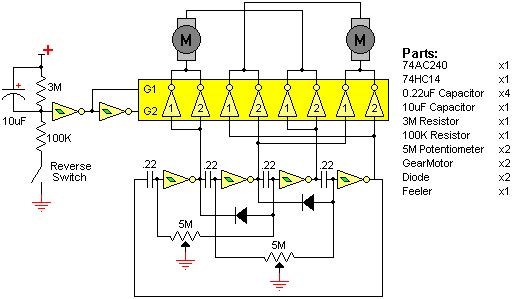 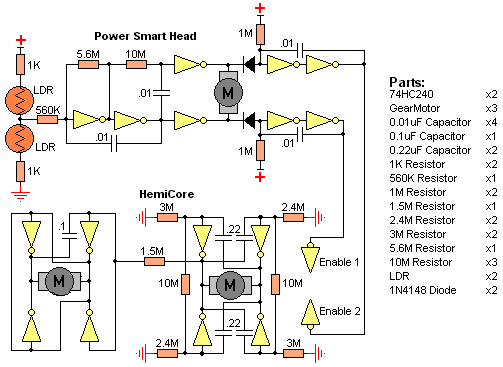 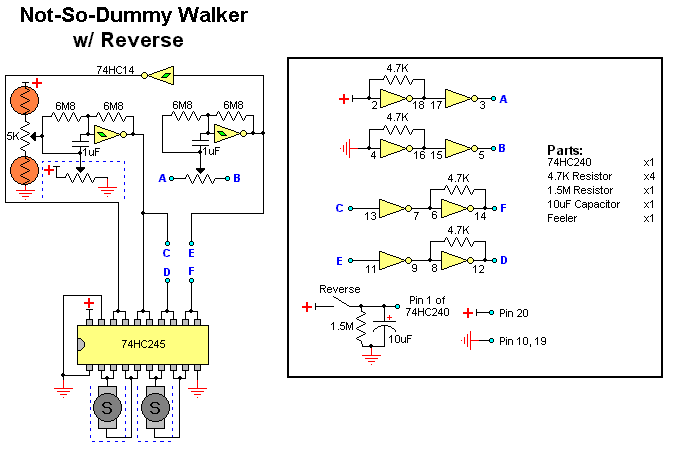 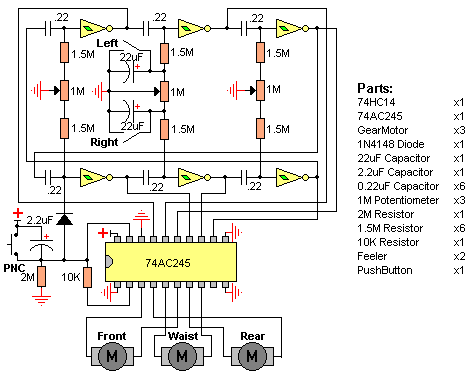 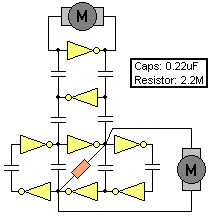 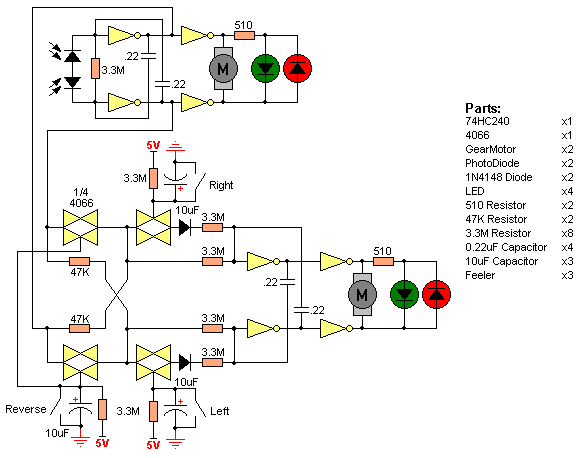 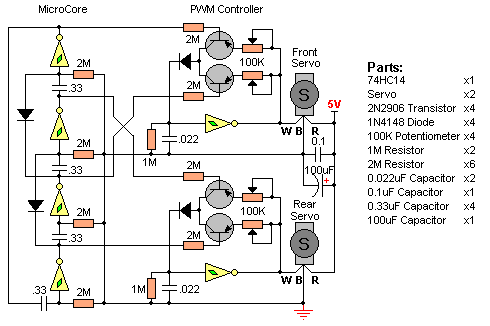 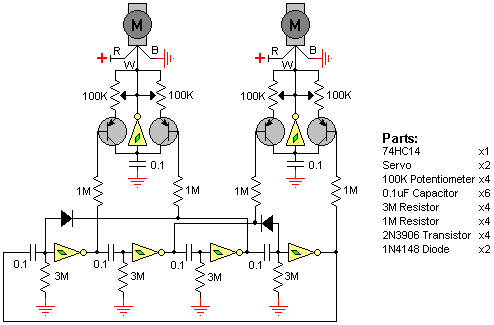 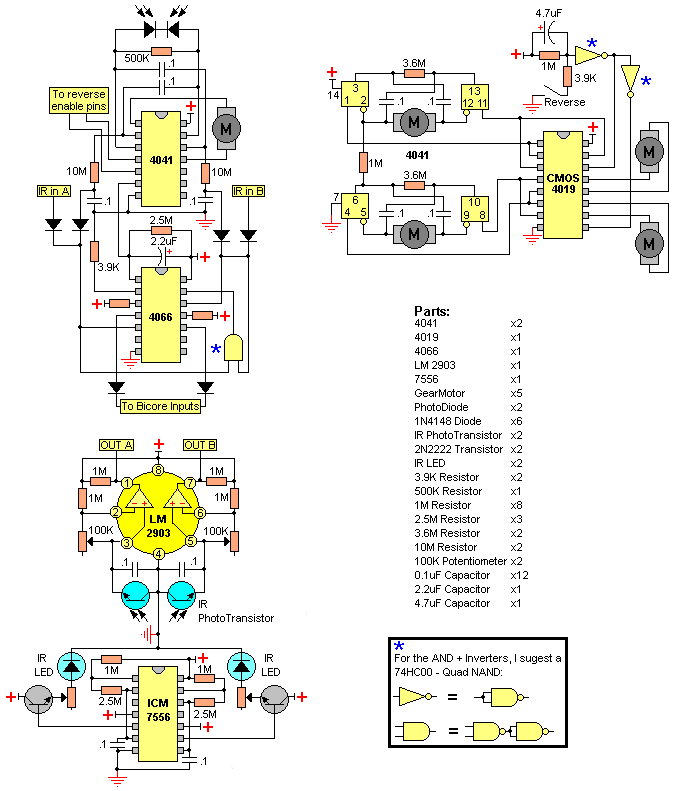 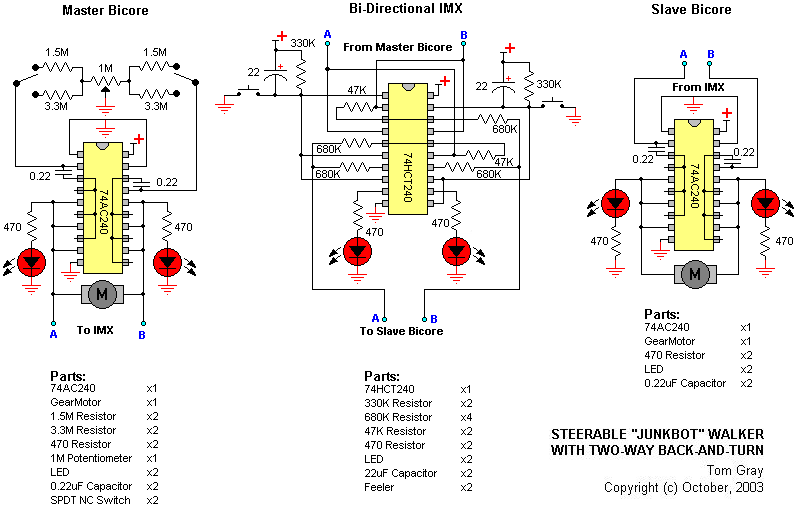 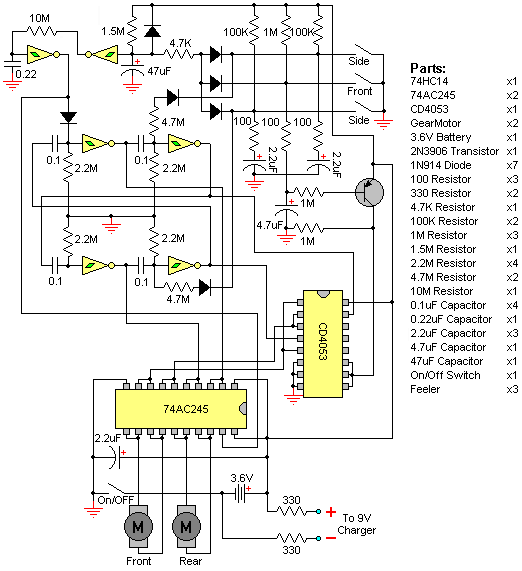 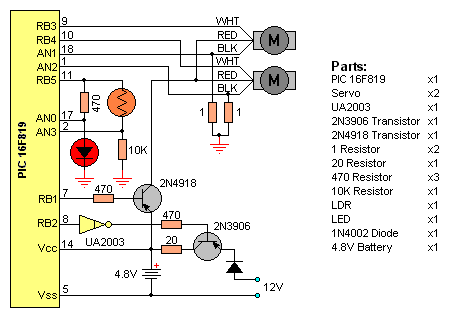 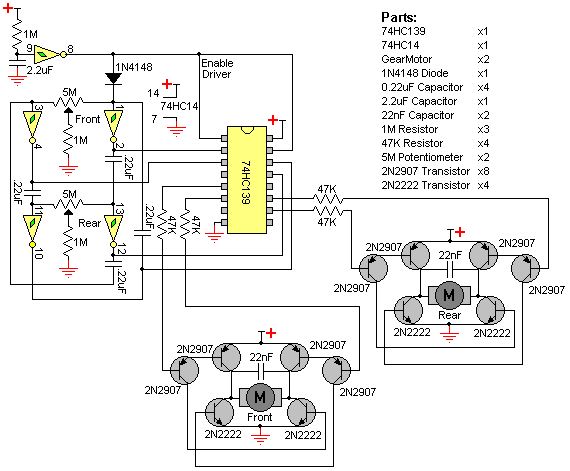 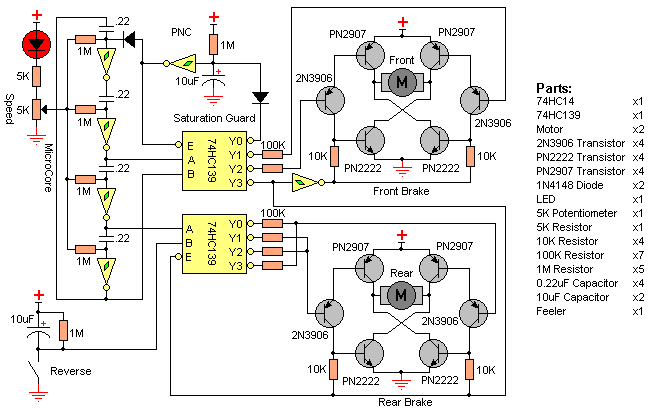 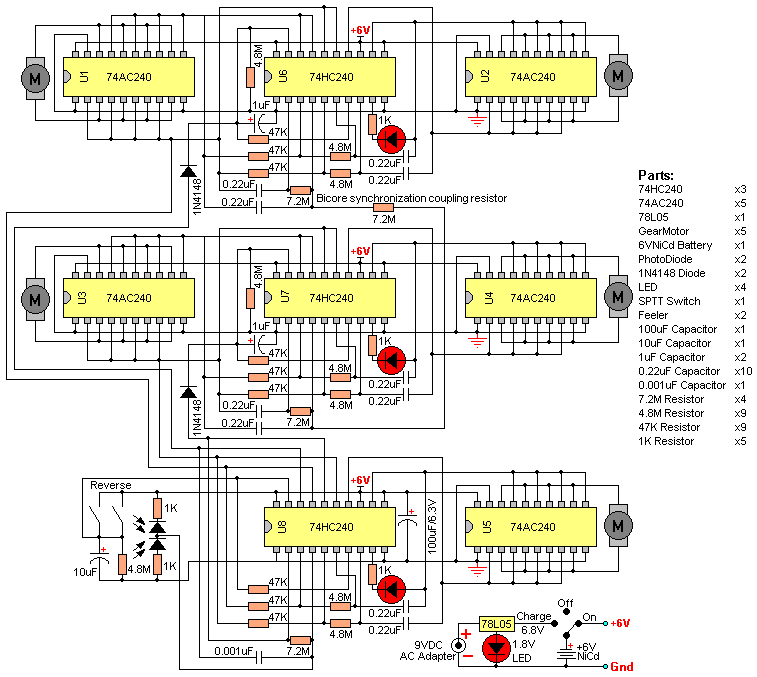 July 2004: If you want the NSD Walker to reverse, you can add THIS circuit or you can build THIS version of the walker. 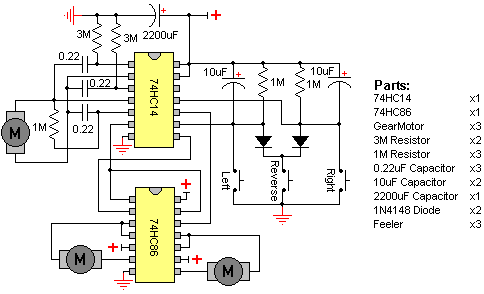 This walker goes to sleep after a few minutes. 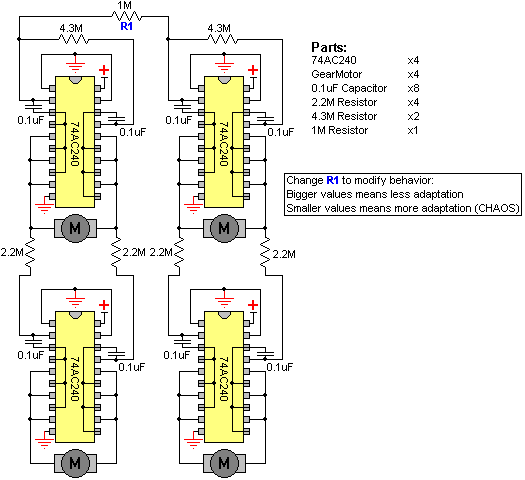 It reactivates when any of the feelers is activated.